Thinking of taking a cruise? What are you waiting for? There’s never been a less expensive time in at least five years to set sail. That finding comes courtesy of research we recently did, looking into how much money cruises are making per passenger compared to what the median person earns in America. For years cruising has had a reputation as an affordable vacation. For one price you can get everything you need — room, food, entertainment, and transportation to tropical locales. At the same time, however, many cruise passengers have noticed that there seems to be more ways to spend money on the ship. 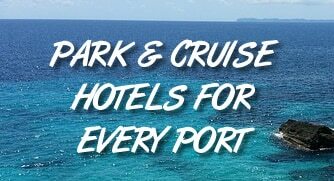 From drinks to wi-fi to special boarding privileges to being charged for room service (which used to be free), the opportunities to spend on many ships is endless. That said, he truth is that the overall amount spent per passenger has remained relatively steady. To see how much cruise passengers spend on their trip, we went to the source itself — the cruise lines. As public companies, the major cruise lines report financial statements every quarter and an annual report once a year. For our purposes, we pulled the data for Carnival and Royal Caribbean from their most recent annual reports. While these reports are a trove of information, we need only a few numbers to figure out how much passengers are spending. First is the amount of revenue taken in and second is the number of passengers. For example, Carnival took in revenue of $17.5 billion from a total of 12.1 million passengers in 2017. Simple division tells us that means the average passenger spent $1,447 on their cruise. Before we get too far, you should know that these figures are for the parent companies — not the specific cruise line. For instance, Carnival owns several lines, including Carnival, Princess, Cunard, and more. It’s the same story for Royal Caribbean, which owns Royal Caribbean, Celebrity, and Azamara. These figures also represent all the revenue taken in by the cruise line, so it’s not only the cruise fare, but also the money spent on board, including drinks and shopping. Judging from the chart, you can see that the amount spend per passenger has hovered around the same spot for years now, and actually increased in the latest year. So why do we say it’s the cheapest time to buy a cruise? While the overall amount spent per passenger may be in the same range during the past five years, incomes have risen dramatically during that time. In 2013, the median household income in the United States was $53,585. It has risen steadily over the years and now sits at $61,372 according to the Federal Reserve Bank of St. Louis. In other words, while the price of a cruise has stayed roughly the same, passengers have more money in their pocket. According to our calculations, it would now take a household earning the median income about 17 days of work for an average trip on Carnival (assuming two passengers per cabin) and about 18 days of work for an average trip on Royal Caribbean. Again, keep in mind that this is across all of the company’s cruise lines, even ones that sail primarily outside North America. Perhaps the best news is that these costs represent just the averages. Cruise lines offer a number of different options for every budget, including cheaper interior cabins and shorter cruises that cost less money. In fact, many cruises can be had for less than $500 per person or even less than $300 per person. Put simply, if you’re looking for an affordable vacation, there isn’t much that’s better than taking a cruise… especially right now. For more tips on saving money, read our 10 Rules for Getting the Best Deal on a Cruise.